The move towards sustainable energy production and use is one the most challenging and profound changes currently taking place in the world’s established and emerging economies. 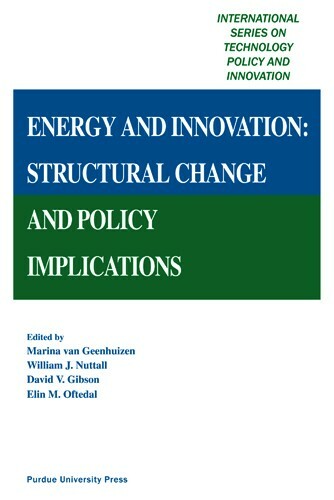 Energy and Innovation: Structural Change and Policy Implications presents a series of informative case studies from Norway, the United Kingdom, Poland, the United States, Russia, Japan, and China that demonstrate how the pace of sustainable energy production differs by country. Part 1 examines the challenges of increasing sustainable energy production. The main themes include differences between countries in the European Union concerning energy consumption, energy security, smart metering, and resistance to change. Part 2 presents challenges to innovation in different economic systems. The authors contrast developed European and North American systems with emerging economies such as that of China. Their focus is on improving the innovation capabilities of firms and organizations through enhanced access to knowledge. Solutions include corporate collaborations with the academic sector and access to investment capital. Part 3 surveys the range of industry sectors that are adopting environmentally-friendly solutions. There is a special focus on start-up companies that are working to bring new energy-production technologies to the market. Marina van Geenhuizen is a professor at Delft University of Technology, Faculty of Technology, Policy and Management and OTB Research Institute, in Delft, The Netherlands. W. J. Nuttall is a University Senior Lecturer in Technology Policy at the University of Cambridge. David V. Gibson is Associate Director and The Nadya Kozmetsky Scott Centennial Fellow, at the IC² (Innovation, Creativity, Capital) Institute at the University of Texas, Austin. Dr. Gibson is Co-Chair of the International Conference on Technology Policy and Innovation and Program Vice-Chairman for the World Conference on Integrated Design and Process Technology. Elin Oftedal is a faculty member in business administration at Asian University, Thailand.